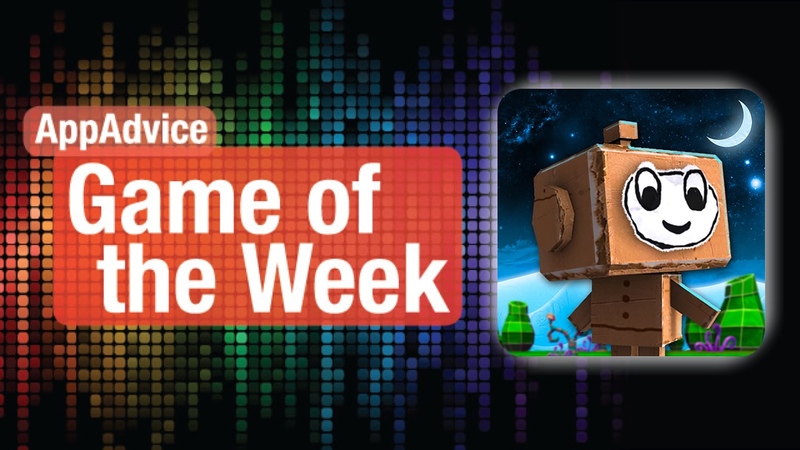 Dive into a beautiful paper world that comes to life before your eyes in our Game of the Week. Are you looking for some classic platformer action this weekend? 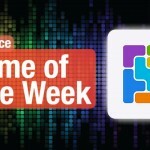 Then you should check out our Game of the Week, Paper Monsters Recut from Crescent Moon Games. 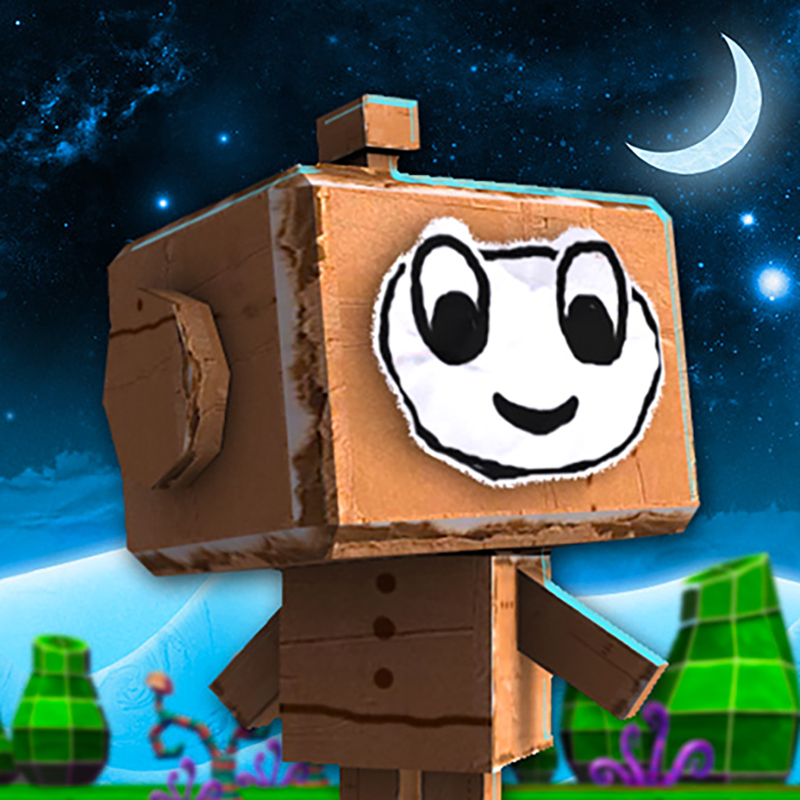 If the name of the game sounds familiar, that’s because this is an iOS port of Paper Monsters Recut from the PC and Wii U, which itself is a kind of remastered version of the original Paper Monsters. In this new version, players are thrown into a beautiful paper world that comes to life right before their eyes. The 3-D graphics are colorful, vibrant, and lush, making it the perfect little game for the entire family. And for those who grew up with the classic platformer games, then you’ll be delighted to hear the retro sound effects as you play. Recut is based on levels, and you have to go through them in order, making sure to collect the required amount of golden paperclips along the way to gain access to the next stage. The goal in each level is simple: get from the starting point to the end curtain, but this is easier said than done thanks to all of the platforming action and enemies that you’ll face. Players have to find the paperclips that are scattered around on the stage, as well as collect the white buttons (and secret gold ones), open gift boxes for surprises — all while jumping on monsters or avoiding them. Points are earned for collecting the items and defeating foes. 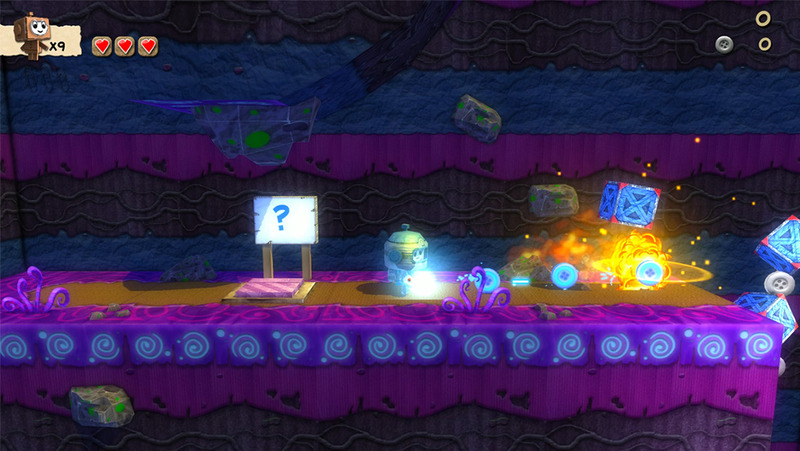 Like other platformer games on the App Store, controls are easy enough. Just move your thumb around in the bottom left corner to move left or right. A tap on the right side of the screen lets you jump, and two taps equates to a double jump. Like other Crescent Moon Games’ titles, the controls are responsive enough, though you can use a MFi controller if you have one. We were fans of the original Paper Monsters that came out a few years back, so we are glad to get our hands on the new port of the Recut version. If you’re a fan of platformer games, then this is worth checking out. You can get it on the App Store as a universal download for $4.99. For more about Paper Monsters Recut, make sure to check out my full review. Can you unscramble words with only the first and last letters being your clues? Put your word skills to the test in our Honorable Mention pick. Feel like relaxing to a challenging word game instead this weekend? 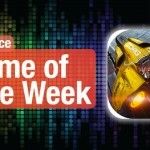 Then you have to get our Honorable Mention of the week, Alpha Omega by Borderleap. This gorgeous game features a simple and clean design that is sure to please any minimalist out there. While the game starts out with a basic wood color theme, players unlock more colors as they get further in the game. Animations are smooth and fluid, and the game has a tranquil soundtrack that helps you focus on solving the word puzzles. Alpha Omega is based on levels that are split across various sections of a board, each appropriately named after the Greek alphabet. With 360 puzzles to go through, there is plenty of bang for your buck. The goal is to decipher the words in each level by swapping the letter tiles out with each other, and the only clues are the theme and the first and last letter of each word. To make things more challenging, each letter can only be moved once. As you get further along, the theme will have to be revealed as you swap tiles. If you get stuck, there are hints that automatically swap two tiles into their correct spots. These hints are saved too, so if you replay a level it will remain there. The initial purchase of the game only gives you 10 hints, so if you run out, more have to be bought from in-app purchases. 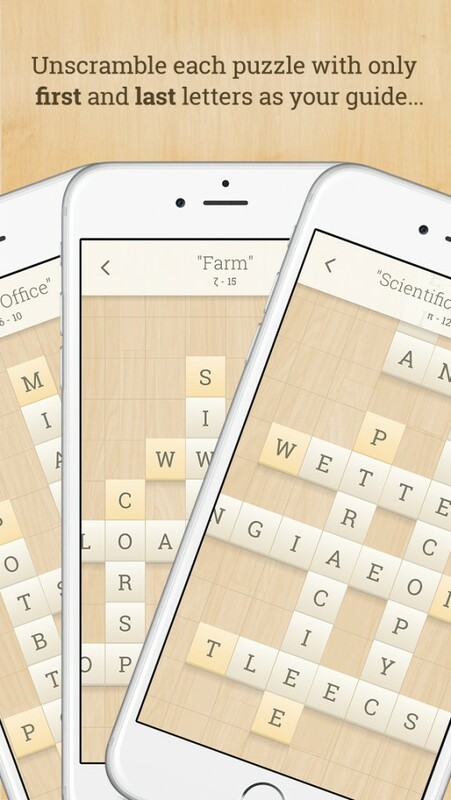 We always enjoy a good word game here at AppAdvice, so we’ve been getting a kick out of Alpha Omega. If you are looking for a new word game to add to your collection, make sure to pick this one up. 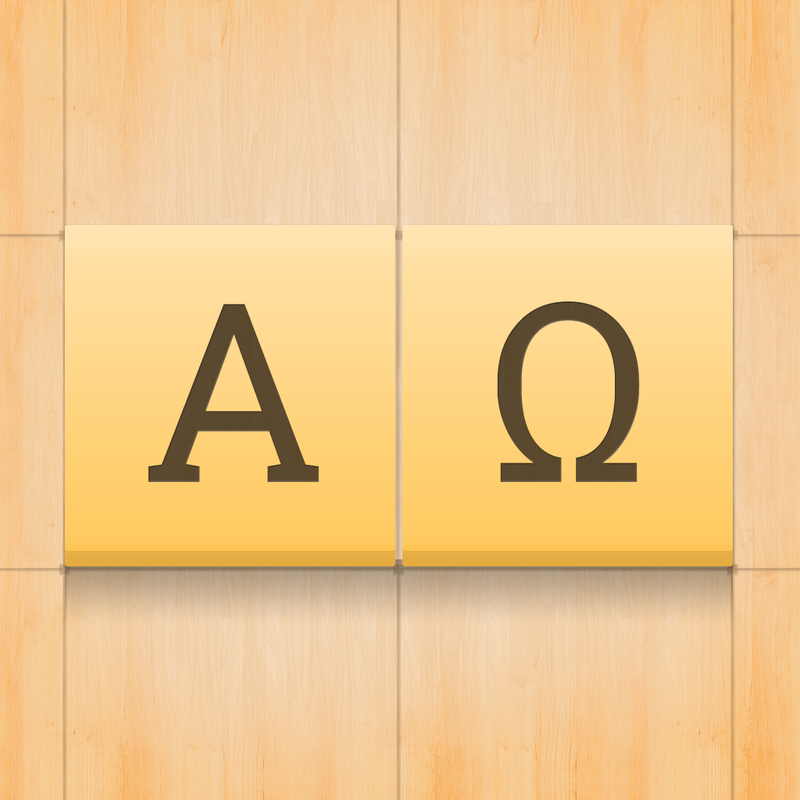 Alpha Omega can be found on the App Store as a universal download for $0.99. For a closer look at Alpha Omega, don’t miss out on my original review.